In this lecture, Mark Piercy will give an introduction to cluster computing concepts and some best practices for users. Clusters enable users to run computational tasks that are above and beyond what desktops and laptops are capable of in terms of CPU, RAM, I/O and data storage. He will also give an overview of SRCC resources and it's main cluster Sherlock. On Sherlock users can use up to 2048 cores and submit thousands of computational tasks at once. He will cover the data storage options, queue and partition structure, SLURM resource manager, job submission basics and software available on Sherlock. 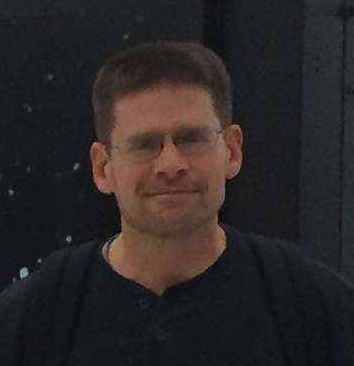 Mark Piercy has been involved with research and software development at Stanford for over 15 years. He is currently a member of the IT team at Stanford Research Computing Center helping Stanford researchers across various desciplines with their high performance computing needs. Mark helps onboard and support new research groups with campus HPC systems. He has previously worked at The Genome Technology Center, HighWire Press, the Genetics Department, Stephen Montgomery’s group and Vijay Pande’s Lab on the Folding@home project. Mark is also an artist and teaches at the Ceramics Studio at Stanford.